Dunedin history will capture your imagination the moment you arrive. Known as the 'Edinburgh of the South', the grandeur of this city's architecture is matched only by the charm of its stories. While there's a lot that’s Scottish about Dunedin (including pipe bands, golf courses, tartan, haggis and single malt whisky) it's not a southern replica of Edinburgh. Scots settlers came here in the 1800s to start again and create their own new world. The outcome is a city that embraces many aspects of Scottish culture, while still remaining firmly tied to the history and culture of New Zealand. Dunedin's Larnach Castle took 200 workmen more than three years to construct. Master European craftsmen spent a further 12 years embellishing the interior. Opened in 1906 and described as an experimental collaboration of Classical and Neo-Gothic architectural styles, Dunedin Railway Station is outrageously beautiful. The combination of dark basalt and white Oamaru limestone make it look like the world's biggest gingerbread house. In fact the architect, George Troup, earned the name Gingerbread George after he designed this extraordinary building. While you're admiring the station, be sure to check out Dunedin railway trips. 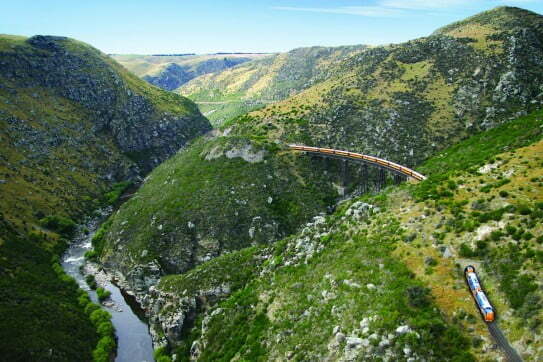 The Taieri Gorge Railway runs from the city through beautiful hinterland all the way to Middlemarch in Central Otago. Another Dunedin railway tour is the Waitati Seasider, which promises huge cliff-top views of the Pacific Ocean and Blueskin Bay. To understand what makes this city tick, immerse yourself in the exhibits and interactive attractions of Toitū Otago Settlers Museum. A particularly poignant exhibit is the room of portraits known as the Smith Gallery. It features pre-1864 settler's portraits - stern, strong-minded people who sailed thousands of miles to start a new life in New Zealand. Another exhibit shows an early wattle and daub cottage like those constructed in early 'Mud-edin' (things were a little muddy in the city's early days). Eight out of ten people who reviewed this museum give it an 'excellent' rating; the others say it's a credible 'very good'. In short, you should devote at least half a day to the museum's treasure trove of early Dunedin and Otago stories. While you're visiting, be sure to taste a southern specialty at the café - cheese rolls. They are crispy, melty and totally addictive. At the other end of the city is Otago Museum, loved for its planetarium, brand new science centre and Sir Edmund Hillary collection. If you're travelling with children, they'll be spellbound for hours. High on Otago Peninsula is a Gothic Revival residence that's often called the only true castle in New Zealand. Built in the 1870s, Larnach Castle was originally the private home of William Larnach and his wife Eliza. It took 200 workmen more than three years to construct the castle and master European craftsmen spent a further 12 years embellishing the interior. Fancy doesn't even begin to describe this edifice. In the good old days at Larnach Castle, Dunedin aristocrats and socialites kicked up their heels in the 3000 square foot ballroom. Today the castle continues this tradition with a calendar of special events. You can even get married here! 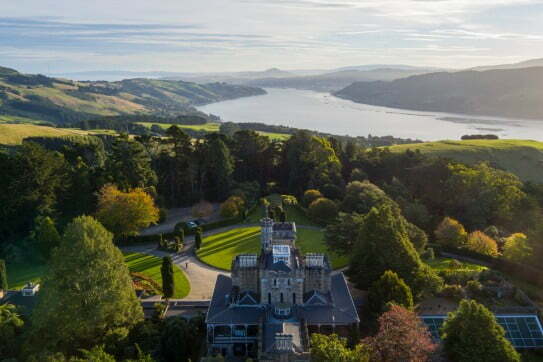 It's easy to visit Larnach Castle because it's open every day. You can tour the residence and gardens, then enjoy lunch or high tea at the Ballroom Café. If you'd like to stay longer, boutique accommodation is available in the castle gardens. 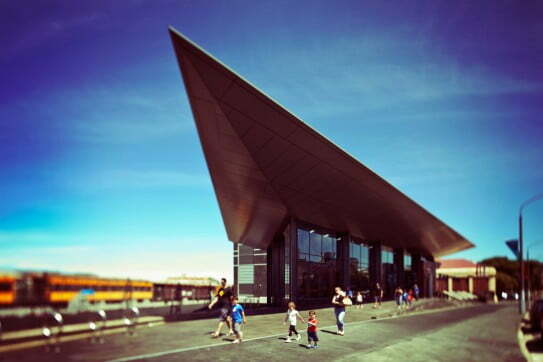 Dunedin can claim New Zealand's first public art gallery and first art society. And now it has the country's first inner-city art trail. In the Warehouse Precinct, down near the harbour's edge, you can discover alley artworks painted by the UK's Phlegm and Belgian artist ROA, as well as brilliant creations by locals. 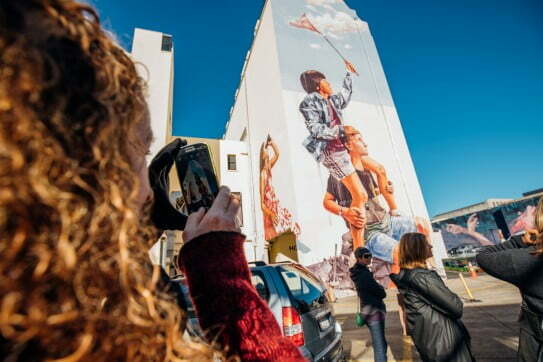 The thought-provoking Dunedin street art trail ties in with the city’s history, buildings, ecology and future. The Dunedin Public Art Gallery is another must see for art lovers. It's been going since 1884 and looks after one of New Zealand's most significant art collections. Every year the gallery hosts a variety visiting of exhibitions, with an emphasis on contemporary art and popular culture. Entry is free.